We're Michael Doig and India Swift, a duo of creators who happen to collaborate on a number of projects like comics and animation. This is our hideaway on the internet where we'll collate work we do individually and together. We're Michael Doig and India Swift, a duo of creators collaborating on comics and animation. This is our hideaway on the internet where we'll collate work we do individually and together! 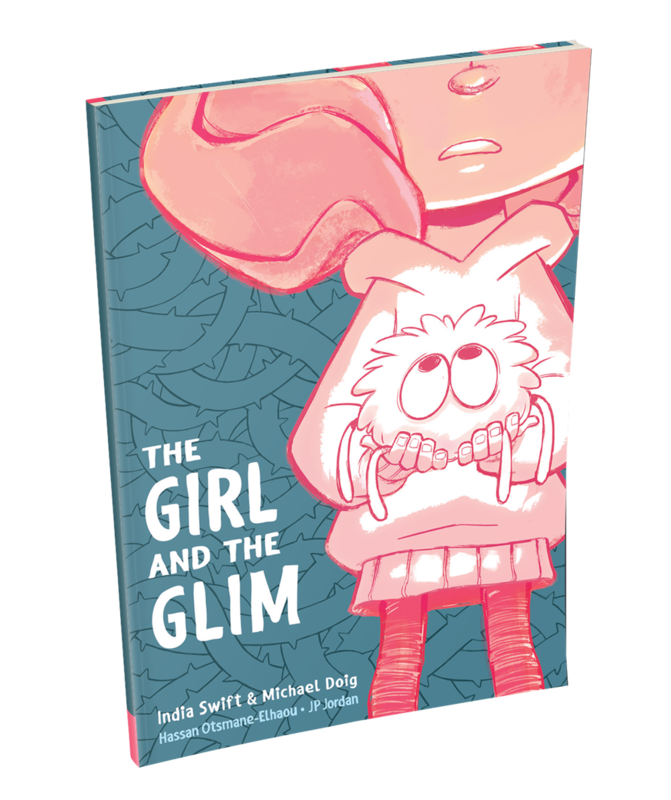 'The Girl and the Glim: Book 1' tells the first part of a larger story that explores how fear can bring people together. 13 year old Bridgette is nervous enough about her family’s move to Fort Harbour – but when an unexpected arrival from the sky coincides with her own, it makes finding friends at her new school even trickier than she feared.